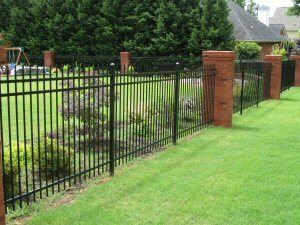 Ameristar Perimeter Security, the leading manufacturer of ornamental fence and gates, has raised the bar yet again. With a commitment to innovation and continuous product development, Ameristar continues to find ways to help its customers sell against low cost alternatives by bringing true value to the consumer. Introduced in 2005, Montage was the first to offer a 20-year warranty along with many other differentiating features. At the time, a 20-year warranty was a calculated offering brought about by Ameristar’s advancements in coatings technology, a new state-of-the-art manufacturing facility and processes that provided consistent product quality. Ameristar continues to make advancements in product performance with its Montage product line. Starting in July 2015 Ameristar will offer a Lifetime Limited Warranty on its residential steel Montage fence systems. The first ever to offer an ornamental steel fence with a Lifetime Limited Warranty, Ameristar is excited about the opportunities this will bring for its contractors. This change is a result of Ameristar’s new proprietary coatings technology and improved automated processes to the Montage coating line.